I first learned of Mari’s cocktail making prowess at a United States Bartender's Guild event. I was asked to be a judge for last year’s USBG and Bulldog Gin Rookie Bartender Competition, where up-and-coming bartenders were paired with a veteran bartender coach. Mari was mentored by Stephanie Teslar, an Arizona Bar Ambassador and Mixologist for Kimpton, and her winning cocktail took home the Grand Prize. My co-judges and I were all impressed with her flavor profile, balance, and artful garnish of lychee and basil. You can find Mari mixing up cocktails behind the bar at Cowboy Ciao and Counter Intuitive, and the latter is where we sat down for an interview. Peter Kasperski's Counter Intuitive opened earlier this year with an ambitious, and successful premise. Limited hours (10 pm to 2 am Friday and Saturday), rotating themes, and a stellar cocktail scene helmed by acclaimed industry pros Jason Asher and Micah Olson attract those who appreciate quality bites and beverages. The menu by Chef Garrison Whiting and Pastry Chef Country Velador is designed to collaborate with the theme and setting. Chapter One was set as a New Orleans estate sale where one could sip an excellent Vieux Carré, savor hearty gumbo, and finish with bacon beignets. This later morphed into Cuba as seen through the eyes of Picasso. While I didn’t have a chance to dine on Cuban classics such as Ropa Vieja or a Cubano, I did get to enjoy Mari’s delicious Trinidad cocktail featuring a rum produced by renowned Cuban master rum distiller Francisco “Don Pancho” Fernandez. Her wonderful creation was a harmonious blend of Don Pancho 8 year rum, NOLA coffee liqueur, Crème de Cacao, and Pierre Ferrand Dry Orange Curaçao, finished with a froth of cream and the warm fragrance of freshly grated cinnamon. 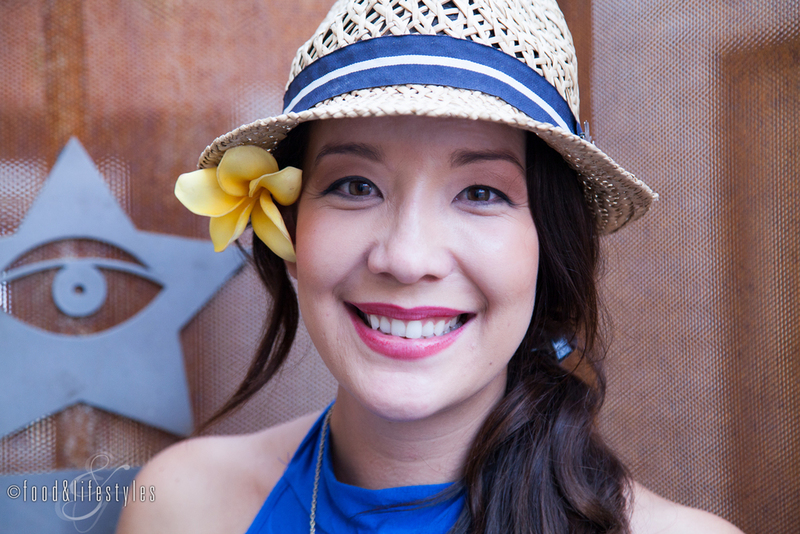 I had an opportunity to sit down with Mari and learn more about this woman of many talents, who is also a jewelry maker (you'll see many friends and industry professionals wearing her bracelets; here's mine), a dancer (she's competed in hip hop and danced hula for the Hawaii Club at ASU), an avid poker player, and an aesthetician. I know you're from Hawaii. What brought you to Arizona? It was basically after I graduated. I said, okay, do I stay in Hawaii my whole life? I was born and raised there and had never been out of Hawaii to live. I went to school at Arizona State and it was just an opportunity to try something new. I have three godsisters I’m close to who were my next door neighbors. My mom is their godmother, and they’re like my three sisters. They had moved out here because their dad was originally from Arizona, so when I was applying for school they suggested ASU. How long have you been in the industry? I started when I was about 16. My first job was as a hostess on Maui at a little restaurant. I’ve done everything from barista to serving to bartending. I’ve always loved working with people. I had no idea of what I wanted to do as a career, but I went to Arizona State University and majored in communications because I knew I liked talking to people. It's one of the reasons I also do skincare and love being an aesthetician. How did you end up behind the bar? My first job in Phoenix was at a divey place slinging Jack and Cokes and pitchers of beer. Then I was a barista at a coffee bar that got bought out and turned into an actual bar so I became the bartender by default. It was just breakfast and lunch, so pretty simple – Bloody Marys, mimosas and margaritas. After that I worked at Stingray, which was a really cool, fun place for my 20s. But then six years go by, and you say, I need something new. Which brings you to the Cowboy Ciao group of restaurants. I met Chris Lingua [Bar Manager at Kazimierz Wine Bar] through playing poker at our friend Gib’s house. My parents are really into poker so I’ve been playing it my whole life. He was looking for people at Kaz. I knew a lot about sushi and sake, but I didn’t know much about wine and I wanted to do something new. I started working there almost 5 years ago and eventually moved to Cowboy Ciao. It was around the time I joined the United States Bartenders' Guild. I just started learning so much and and I wanted to utilize that. What made you join the USBG? It’s actually one of the best gifts I’ve ever gotten. Michael [Michael Soo, winner of the 2014 World Mai Tai Competition and Crudo and The Ostrich bartender] got me the membership for my birthday two years ago so I could join him. I remember how welcoming it was and like a real community. It was very cool. The USBG have all these educational events, basically once a month, so for the last two years I’ve been trying to take advantage of as many seminars and educational things as I can. What made you enter the Bulldog competition? It was specifically about pairing newer bartenders with veterans. My mentor was Steph Teslar and that’s really why I wanted to do it. I thought it would be so cool to work with somebody I could learn from. I work with some amazing people and at the time I wanted to learn from somebody else, so I got to go down to the Palomar and work with Steph. She gave me the idea to put a little spice in the cocktail, which gave it a different dimension. It was definitely about the support too. She helped me to feel more confident, especially as a woman in this industry. Do you have any other female mentors? Kailee [Kailee Gielgens, currently with Azuñia Tequila]. Even though she’s not behind the bar, she's definitely someone I look up to as far as flavors and cocktail knowledge. She has a really good palate. Even when we’re doing R & D here with the drinks, she’ll have the most honest opinion. She’ll have a suggestion like a little more sugar and, boom, the cocktail will be perfect. I also really look up to Layla Linn [of Alliance Beverage and Phoenix USBG Advisor] and Kim Haasarud [Founder of Liquid Architecture, co-founder of Arizona Cocktail Week and Phoenix USBG President]. 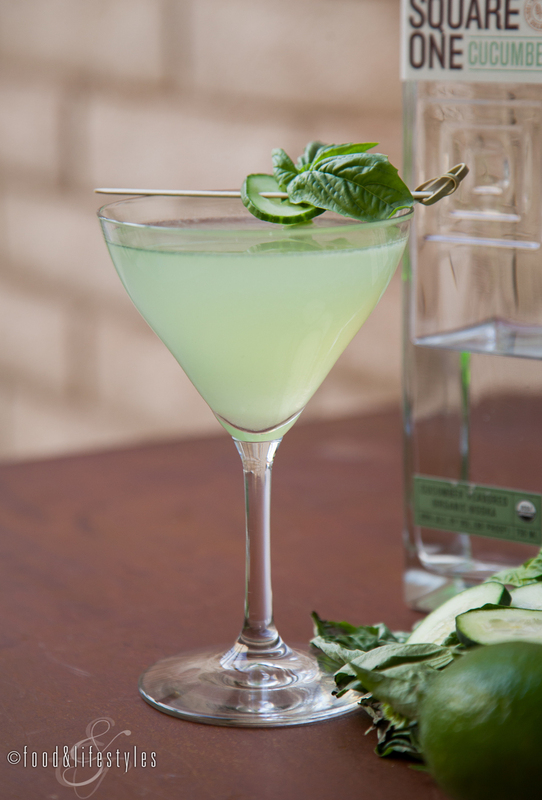 Left: Holy Cowcumber (Square One organic cucumber vodka, Agwa de Bolivia liqueur, fresh basil and lime). Right: Mari created this special cocktail to pair with guest Chef Jeff Kraus' deconstructed duck fried rice (Russell's Reserve 6 year rye, Averna Amaro, bitters, Szechuan peppercorn and fig-infused syrup and soy). Best part of working at Cowboy Ciao and Counter Intuitive? Being at Ciao I do the menus for the most part and I’m kind of teaching people, and then when I come to CI, I feel like I’m learning from everybody. So it’s really different. I find things that I can work on and find myself, since I’ve been working here, being better there; being quicker, more organized. Jason is like our big brother and mentor. He makes sure I’m shaking right or stirring the right dilution. And watching Micah, he’s a machine and he’s so fast, everything is done so quickly. We have 20 cocktails at CI. I’m always studying. I’ve made flash cards and before work I’ll make sure I have all the garnishes right. It’s a different ball game. CI has just been a huge learning experience for me. Best part of working behind a bar? All the great people I get to meet and interact with. One thing about this industry is you make a lot of friends and networks. We have a great community here. It’s brought me a lot of knowledge and being kind of newer, I’ve met a lot of cool people. Even when we travel to different cities, or countries for that matter, we’ll have contacts through this industry. The hospitality industry is called that for a reason. People really take care of each other. Tito's vodka, Giffard Pamplemousse Rose, grapefruit, ginger, basil and lemon. On a hot summer day... I'll drink a ginger-basil smash. On a cool winter day....I want a brown sugar Sazerac with rye. At the end of your shift...I'll come home and have a Japanese whiskey neat. I love Nikka whiskey. Your favorite spirit(s)....are tequila and rye whiskey. My mom loves tequila and got me into it. Recently, though, I've had a real taste for rye. You love when a guest….tells me something they like, a flavor profile, and then I make a drink for them and they tell me I've nailed it. They’re really happy and say, “that’s exactly what I was looking for, that’s exactly what I wanted to drink tonight.” That to me is the best feeling. If you weren't bartending....I would be doing some of my other interests. It’s a nice balance for me. As an aesthetician, I’m doing facials and it’s really relaxing. I like when people leave and they’re refreshed and feeling good. And the bracelets. I’ve always liked to make things. As a kid I made jewelry and clay figures. I'm learning about gemstones and their purposes and love learning about the stones and what they mean. Follow @CraftBraceletsBro on instagram to see more of Mari's work. Counter Intuitive has recently debuted Chapter Three, "Big Trouble in Little China Towns", featuring Asian-inspired cocktails and late-night bites such as a scallion pancake stuffed with egg and lap cheong sausage or a green tea semifreddo with an almond fortune cookie. What to drink? Order Mari's "The Girl with the Golden Grip" with Bonded Bourbon, Averna Amaro, Thai tea syrup and Chinese five spice tincture.